Download All Events City App and Earn All Events Offers. which you can able to explore events around your city. You can Get event recommendations based on events you have attended and never miss out on your favorite artist’s concerts, conferences, festivals, music gigs or sports events.If i say for every 4th signup from your refral you will get rs 150 BookmyshowVoucher than will this offer proves useful to you for maximum people the answer is yes? Soi must recomment you to download All events App And refer your friend. You will get 50 points as a joining bonus. Please scroll down to read all T&C. Inviting friends to All Events in City app can earn you and your invitees credits to use towards booking of a new event/movie, earning a mobile recharge and many other goodies which will be revealed surprisingly. 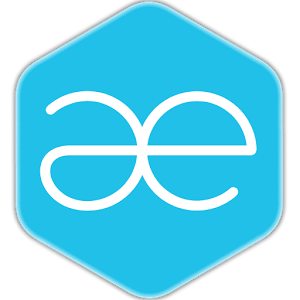 AE Wallet earned through Invite and Earn Program will fall under promotional AE Wallet.You can invite up to 100 friends and earn points when they install the app with your link and login.An email_id can be used only once for creating an account on All Events in City.When a user makes a booking by using promotional AE Wallet, in the event of cancellation of the event, the promotional AE Wallet used shall be credited back to user’s AE Wallet account as promotional AE Wallet.All Events in City reserves all rights to change the amount conferred under the ‘AE Wallet’ scheme at any point of time.AE Wallet points are NOT identical with any currency.All standard All Events in City terms and conditions as described on allevents.in are applicable on AE Wallet earned through this program.All Events in city has all rights to terminate/retract/cancel any user’s AE Wallet account if any misuse or unethical behaviour is observed.This offer cannot be clubbed with any other promotional discount or exchanged in cash.All Events in City reserves the right to change or withdraw the offer, any time at the sole discretion of the management.Points will be only credited for inviting a genuine real friend. If any techniques are used to generate fake profiles/referals will be detected by the system. If user is doing fake activities or having sole purpose of getting free offers will be banned from using All Events in City and all partner services. Discover upcoming events happening in your city. Find out where your friends are going. Get event recommendations based on events you have attended and never miss out on your favorite artist’s concerts, conferences, festivals, music gigs or sports events.Allevents.in has the largest collection of events and happenings; with 22 million events spread across more than 23,000 cities reaching out to more than 3 million monthly active users. Explore events by your interests including exhibitions, sports, parties, meetups, concerts, festivals, workshops, dance, yoga, health and mediation,art and theater. Follow your favorite event organizers, artists, celebrities and get notified whenever they announce new events. Plan your travel trip and attend the best events in various cities. New York City, Los Angeles, San Francisco, Chicago, Atlanta, London, Singapore, New Delhi, Mumbai, Bangalore, Nairobi, Cairo, Cape Town, Sydney, Karachi, Islamabad and 23,000 more. Make your lives happening by browsing and finding weekend events of your interest. Add Events to Calendar and make a perfect event guide using All Events in City. ✓ Browse events categorically from various categories like parties, meetups, concerts, seminars, art-events, festivals, workshops, conferences, etc. happening in your city with a single tap. ✓ View events in your city. Map them on Google. Play with them. Share them. ✓ Seamlessly add events to your Google Calendar. ✓ Filter events by date and/or by categories. ✓ Plan your weekend with your friends and share and comment on events you plan to visit. ✓ Find events recommended based on your interest. ✓ Keep a track of events you have attended, attending and invited. ✓ Know which events your friends are attending. ✓ Follow your favorite organizers and get updates about their events. ✓ Live photo streaming during the event which can be shared on Facebook. ✓ Find friends and interact with them before going for an event. It is your perfect guide to sail through the week and plan your weekend. Download “All Events in City” and never miss any event in your area and neighboring cities.